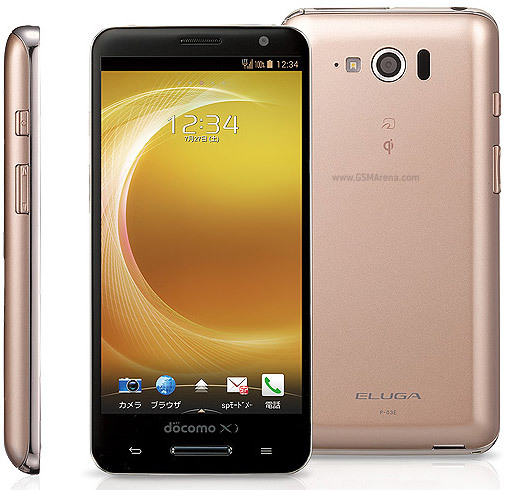 Panasonic unveiled an HTC One competitor in Japan – it's called Eluga P P-03E and it's for DoCoMo. The Panasonic Eluga P is an Android 4.2 phone with a 4.7" 1080p screen, which is optimized for one-handed operation. The screen can detect a hovering finger for a feature called Touch assist that is very similar to Samsung's Air Gestures. The phone also features gestures to improve usability with one hand (a zoom slider in the browser, an upward swipe to bring content from the top of the screen into reach, etc.). The Panasonic Eluga P P-03E is powered by a Snapdragon 600 chipset with a quad-core Krait 300 CPU at 1.7GHz. It also packs a 13.4MP camera and a 2,600mAh battery. The Eluga P a bit thicker than the HTC One – it measures 132 x 65 x 10.9 – but weighs about the same, 146g. Better still, it has an IP57 certification making it water resistant (up to 1m for 30 minute). The Eluga P supports NFC, Miracast, MHL, it has a barometer and an IR blaster, plus Japan-specific features like FeliCa and Seg. The Panasonic Eluga P P-03E will launch on NTT DoCoMo in late June. It's not clear if this phone will have an international version.